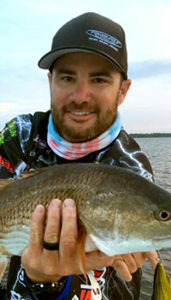 Home » Book Cedar Key Fishing Charter! Cedar Key Fishing Charter Reservations! Saltwater Assassin Fishing Charters‘ experienced fishing guides will provide you with the best Cedar Key Fishing Charter ever! SWAC fishes the beautiful shallow flats of Cedar Key, Wacassassa Bay, Steinhatchee, and Crystal River, Florida – in other words, Florida’s Big Bend. The flats around Cedar Key are perfect for growing massive quantities of keeper size trout along with some we like to call “gator trout“. And of course, Cedar Key Reds are second to none! 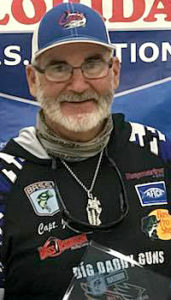 New to saltwater fishing? No worries! 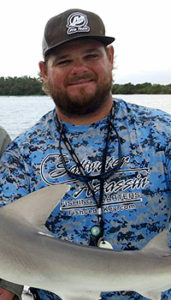 Our captains excel at teaching you how to fish and CATCH those fish! We go “catching” with novices and experienced anglers every day. A Desire to Have Fun Catching Fish!! Cedar Key Fishing Charter Pricing – Book Charter! $100 each additional (up to four). Have a corporate group or church group or other that could use some relationship building? Team building exercises provide essential coworker bonding and enhance the development of teamwork-oriented interactions. Fishing charters are a fun and productive way to spend some time together while building relationships. Saltwater Assassin Fishing Charters offers four fishing guides and boats in our company fleet and can call in a team of local, trusted partners in order to offer you the best value and experience in Cedar Key group fishing charters. SWAC provides an excellent experience to for relationship building for your business and to reward employees! We’ll take your team out fishing in multiple boats, find and catch the best fish, and bring them back for a fish fry with the trimmings that will satisfy everyone! Fishing Trip with Shore Lunch! Looking for something a little different? SWAC exclusively offers a combination package of a Cedar Key charter fishing trip along with a personally “cooked for you” shore lunch on the Cedar Key islands. Your captain will cook your day’s catch. Just imagine how good fish straight from the ocean tastes! This special package is only available for parties of 15 or more. Ask us for details! Where to Meet Your Cedar Key Fishing Guide! Saltwater Assassin Fishing Charters will meet you at the Cedar Key Town Marina on Dock Street in Cedar Key Florida or we will pick you up at your Cedar Key lodging such as Old Fenimore Mill if they have an accessible dock.